I love this dish because it’s simple and oh so satisfying. The only tough part is peeling the squash. Most recipes just say to peel it and don’t warn you that it’s not a fun task. I’m warning you and telling you that it is worth the effort. This sqash is delicious and cooked with the tomatoes, it stays moist and flavorful. So, get your sharp knife and your vegetable peeler and give it a go! Cut squash in half, scoop our seeds and put on counter as pictured above. Then I use a sharp knife and a vegetable peeler to get the skin off. Prepare squash as noted above. Set aside. Put dutch oven on high heat for 1 minute. Add 1 tablespoon of olive oil to the pan and add whole sausages. Brown them on all sides, this should take 5-7 minutes. Then remove from pan and add squash, tomatoes and their juice, and salt and pepper. Let this cook for a few minutes while you slice the sausages. Add sausages to the pan, stir well to combine then cover and cook, stirring occasionally until squash is tender, about 30 minutes. Taste for seasoning and serve over brown rice or with your favorite grain. 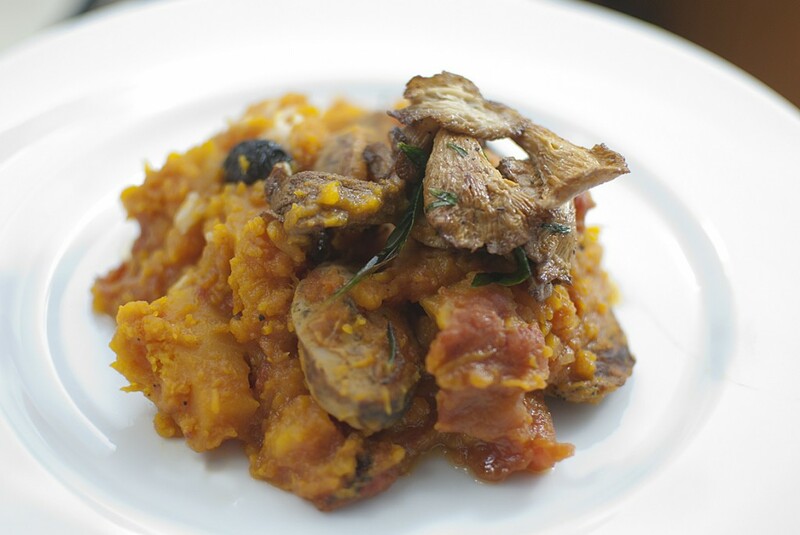 This entry was posted in main dish and tagged kabocha squash. I have cooked Kabocha squash in only Japanese ways. This is so different from what I knew. 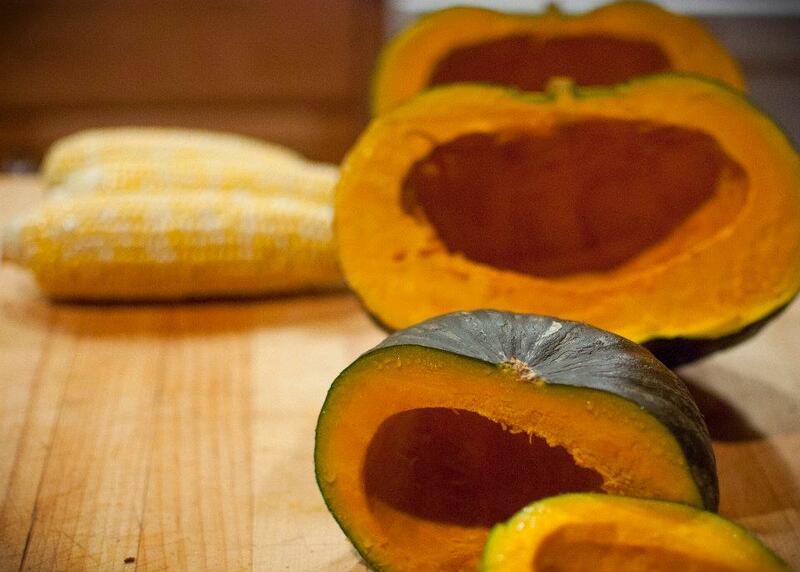 Thank you for the gread idea to cook Kabocha squash.